With my London adventure pending, my roots needed attending to. 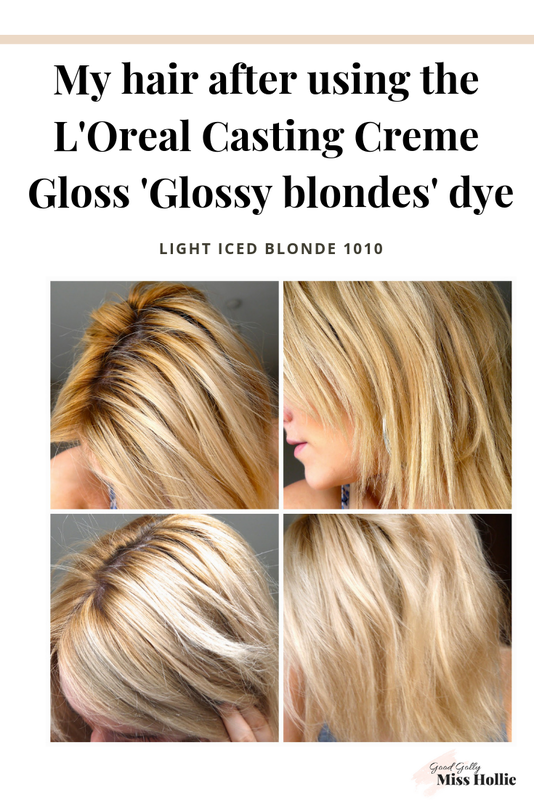 As you know if you have been following my blonde hair journey, I like my blonde to be cooler, ash toned so when I saw the L’Oreal Casting Creme ‘Glossy Blondes’ dye in ‘Light iced blonde’ I was interested. The other shades in the Casting Creme line are non-permanent so I was excited to give the permanent colour formula a try. 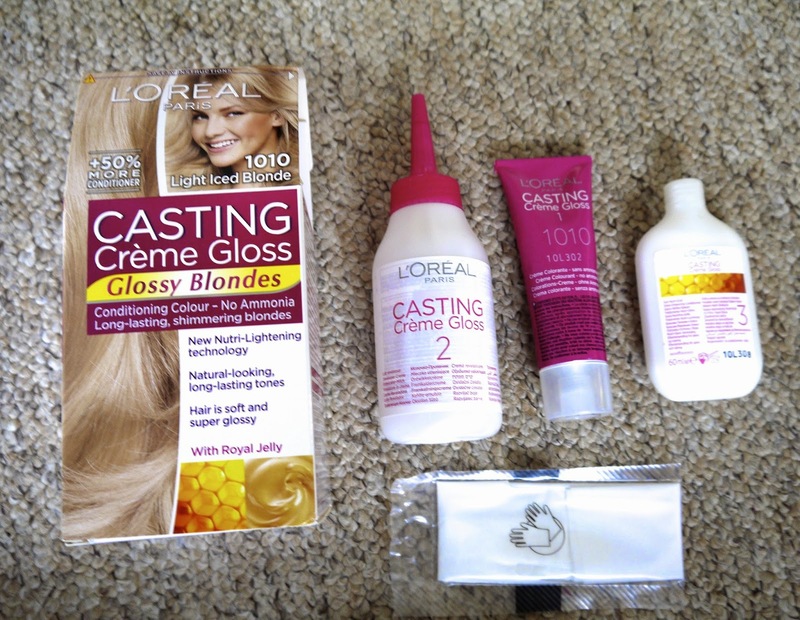 These dyes retail at the £6-£7 mid to high-end drugstore price point, however, keep a lookout as they are often on offer in Boots and Superdrug. The kit is really easy to use. I applied the formula to damp hair and left it to work its magic for around 20 minutes. My favourite part of the process is the conditioning treatment which is so nourishing. The deep conditioner is infused with royal jelly so smells amazing and leaves your hair feeling super soft and conditioned. 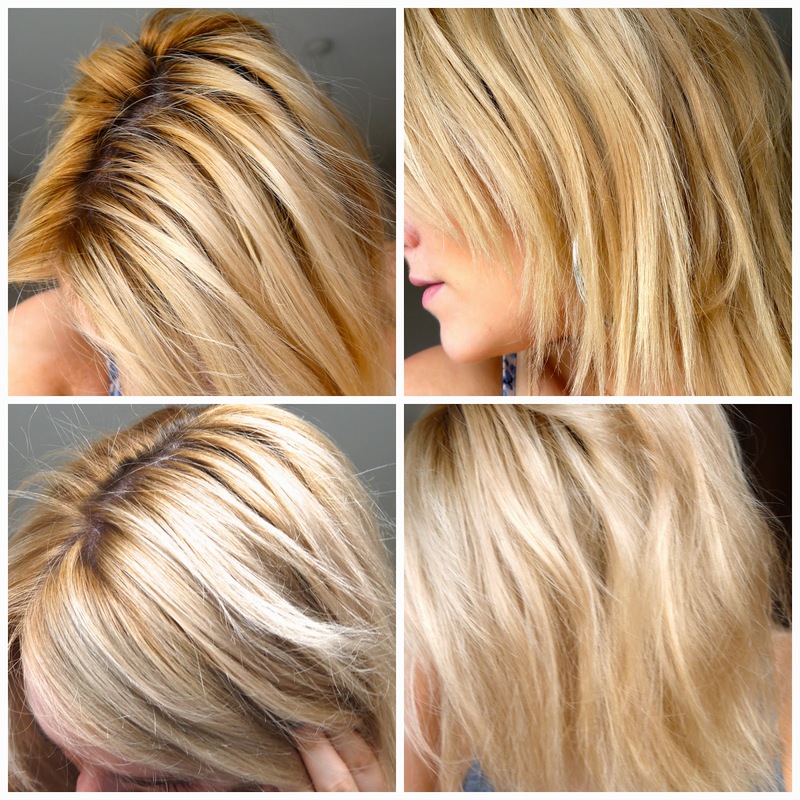 As you can see from the results my blonde is much more ash toned and cooler and I am really happy with the results.